The unknown history of a peaceful adventurous KNIL* topographic expedition at Borneo in 1948. 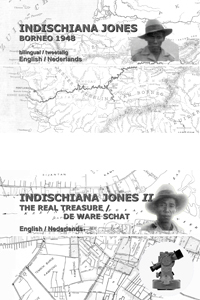 The Indischiana Jones, Borneo 1948 story evolved during a desktop research for an expedition of the KNIL Topografische Dienst at Western Borneo in 1948. Based on an auto-biography, authentic photos, maps and information from the internet, a picture arose of these tough KNIL soldiers, adventurers serving science. A story of landing crafts, proas, a seaplane, jungle bivouacs, hunting for wild boars, fishing and bathing in a river with crocodiles, Dayak people, weapons, topographic instruments, cartography and much more. Illustrated with many authentic black and white photos. Paperback, 108 pages. Size: 20 x 12,5 cm. INDISCHIANA JONES II, The Real Treasure. The sequel to the paperback “Indischiana Jones, Borneo 1948”. Part II adds many new and enthralling findings to the history of the adventurous KNIL topographic expedition at Borneo in 1948. Indischiana Jones II opens a view into the world KNIL topographers at Java and Borneo: the headquarters, the map library, the instruments workshop, the photogrammetric laboratory in Batavia; the Geodetic Institute in Bandung; recruitment and education; the expedition base in Pontianak; the topographic instruments; communication equipment; the complex calculations; improvising in the field; forgotten words and celebrating Christmas far from home. In part II also the story about the KNIL hat and the seductive wife of the colonel plus the revelation of the real treasure of Indischiana Jones! Many not previously published authentic black and white photos are giving an extra dimension to the stories. The book is completed with a list of 65 names of the military topographers that came across during the research. A modest homage and remembrance. Paperback, 124 pages. 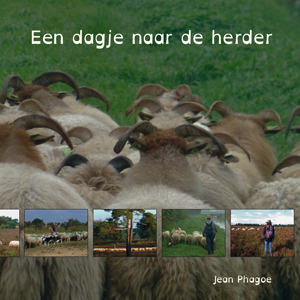 Size: 20 x 12,5 cm.